An unthinkable danger. An unexpected choice. Annabel, once the daughter of a wealthy merchant, is trapped in indentured servitude to Lord Ranulf, a recluse who is rumored to be both terrifying and beastly. Her circumstances are made even worse by the proximity of Lord Ranulf s bailiff a revolting man who has made unwelcome advances on Annabel in the past. Believing that life in a nunnery is the best way to escape the escalation of the bailiff's vile behavior and to preserve the faith that sustains her, Annabel is surprised to discover a sense of security and joy in her encounters with Lord Ranulf. As Annabel struggles to confront her feelings, she is involved in a situation that could place Ranulf in grave danger. Ranulf's future, and possibly his heart, may rest in her hands, and Annabel must decide whether to follow the plans she has cherished or the calling God has placed on her heart. 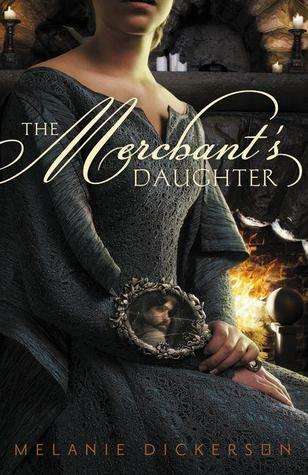 The Merchant's Daughter was a really good book. I liked that there weren't a lot of factual information regarding the timeline. I think that this is what made me give the book such a high rating. The romance wasn't simple but i liked it. Overall this was a great book.